Far too often, Christians engage in good causes, but in ways that keep us far removed from actual human interaction. These actions, although helpful, keep us from risking anything at all. The truth is that when we’re following Christ with our whole lives, we’re called to action. We’re called to open our eyes, hearts, and hands to the people and causes that God cares about. This Saturday, June 1, 2013, from 9-11 am, Central Church will be serving a full, free breakfast to anyone in our community who walks through our doors. Some of our guests will be the old or lonely who seek a little human conversation and companionship. Many will come out of economic necessity, especially when, like this month, the first Saturday comes before monthly pension and assistance checks have been received. If you are free Saturday morning, please consider joining us for the Saturday Breakfast, either by cooking or preparing the food in the Kitchen, or by serving or chatting with the folks who are eating in the Fellowship Hall! This question more or less assumes that it was only post-Pentecost that the church discovered that God is the owner and that people are stewards. It implies that legalistic old Israel thought all they had to do was check the “I tithed” box and then got to spend the rest however they wanted (ignoring biblical statements like “The earth is the Lord’s and the fullness thereof”). Worse—a certain looseness of thought about grace sometimes becomes a rationale for not giving at all. A friend of mine made the case: “If my kids are really the Lord’s, then I can count the money I spend on their food and clothing and college tuition as falling into the ‘good steward’ category. If I use my home for hospitality and hosting small group, then the same goes for furniture acquisition and home makeovers. I use my computer for Bible study and my phone to store worship songs, so those items are stewardologically deductible.” This type of “all-grace giving” where we give “everything” to God looks suspiciously similar to giving nothing to God. What if tithing is actually one of God’s great gifts to us? What if tithing isn’t opposed to grace, but is actually a vehicle of it? I’d like to go back to one of the classic statements about the tithe in Scripture, and look at why tithing is in fact God’s great tool to create generous people. Tithing is like training wheels when it comes to giving. It’s intended to help you get started, but not recommended for the Tour de France. How do you know when to take training wheels off? The quick answer is: when they’re slowing you down. How do you know when its time to stop tithing? For all of us not living in dire poverty, the answer is when you’re giving way more than 10 percent. Tithing is a bad ceiling but an excellent floor. God invites human beings into an experiment. He challenges people to test it. At the same time, failure to tithe is called robbery. Tithing is not the last word in generosity; it’s the first word. But it’s a word that God takes with deep seriousness; perhaps because when human beings get vague around finances, they grow deeply evasive. Tithing was built into the foundation of Israel’s way of life. “A tithe of everything from the land, whether grain from the soil or fruit from the trees, belongs to the Lord; it is holy to the Lord” (Lev. 27:30). The word tithe means “a tenth part.” Tithing means 10 percent. For Israel, however, tithing was really only a start. There were three “tithes” collected from Israel—one to support priests and Levites (Num. 18:21); another for a sacred celebration (Deut. 14:23); and a third—collected only once every three years—to support the poor, orphans, and widows (Deut. 14:28-29; 26:12-13). So the actual income percentage given was closer to 23 than 10. Tithing was never meant to be a way to “pay our debt to God.” It has always been a training exercise to cultivate a generous and God-centered heart. Some people argue that since tithing is found in the Old Testament we can discard the whole concept. Jesus, however, was quite clear that he did not come to abolish the law but to fulfill it. In the early church, no one’s attitude was “Thank goodness grace takes us out from under the Law—now we don’t have to tithe anymore! We can give far less than 10 percent!” The early church was so overwhelmed by God’s grace and generosity, it went far beyond the tithe. Tithing was never intended as a way to “pay our debt to God.” It has always been a training exercise to cultivate a generous and God-centered heart. Tithing is to our possessions what the Sabbath is to our time—a concrete guideline that points beyond itself to the truth that every moment and inch and scrap of our lives come from the hand of God, and will be returned to God. Stanford researcher Leon Festinger developed a line of research in social comparison theory. He noted that in different situations we will tend to compare ourselves with people above us or below us, depending on what ladder we’re talking about. For instance, on morality, we tend to compare ourselves with people we think are below us: mass murderers, drug dealers. On money, we compare ourselves to people above us, those who have more than we do. Upward financial comparisons generate increasing amounts of greed and decreasing amounts of compassion. But ancient financial practices in Israel discouraged upward financial comparisons. Tithing was a reminder that all human beings were created with a need to give. If there were two ways Israel was most obviously distinct in its ancient Mediterranean world, one would be monotheism. They worshiped one God. The other is they put voluntary limits on their wealth. They lived in deliberate generosity. Some years ago I was at a dinner with a man who headed up a large ministry that works with churches and stewardship. I asked him, “What’s the primary predictor of whether any particular church will be generous?” I figured he’d talk about what stewardship program they used or how often generosity was taught. It was none of those. The number one predictor of a generous church, he said, is whether or not it has a generous pastor. Tithing starts right here. So Nancy and I take the tithe of what we earn and give it to the local congregation we are a part of. Then we support other ministries like World Vision and International Justice Mission and Fuller Seminary. That practice is especially important for leaders who want to lead churches to grace-filled generosity. – John Ortberg, Leadership Journal, Spring 2013. 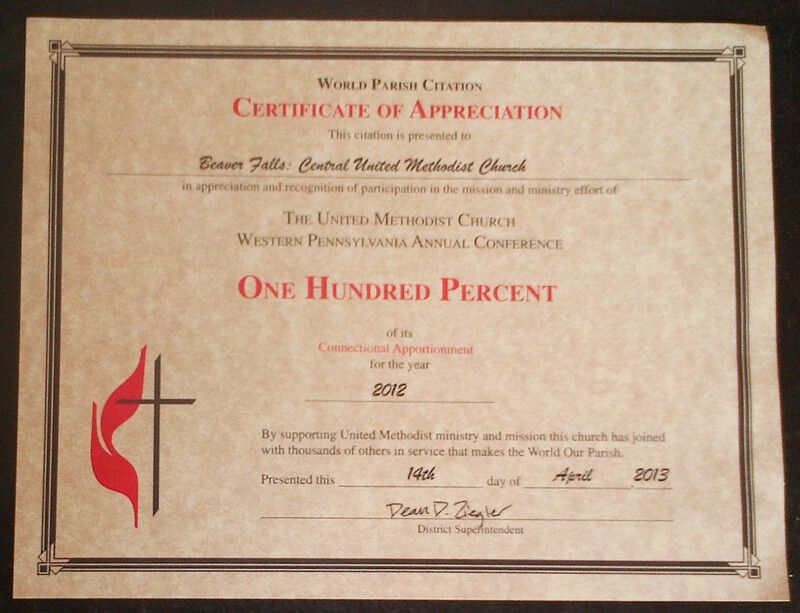 Central Church has just received a Certificate of Appreciation from the Western Pennsylvania Annual Conference of the United Methodist Church in appreciation and recognition of our participation in the mission and ministry effort of the United Methodist Church! In addition to Central Church’s local feeding outreach ministries, including the free weekly Soup Tuesday/Sundae Sunday and Friday Soup Kitchen meals, as well as our monthly free Saturday Breakfast to those in our community, we also support broader outreach ministries of the greater United Methodist Church. During 2012, we were able to pay 100% of our Connectional Apportionment (formerly called our “Mission Share”) to our Annual Conference, which, in turn, remitted its missional share to the United Methodist Church international in support of ministry and outreaches throughout the United States and all around the world. Thanks and blessings to everyone whose generous giving helped us to reach this important milestone! Parlor and Vestibule Carpet Cleaning Completed! 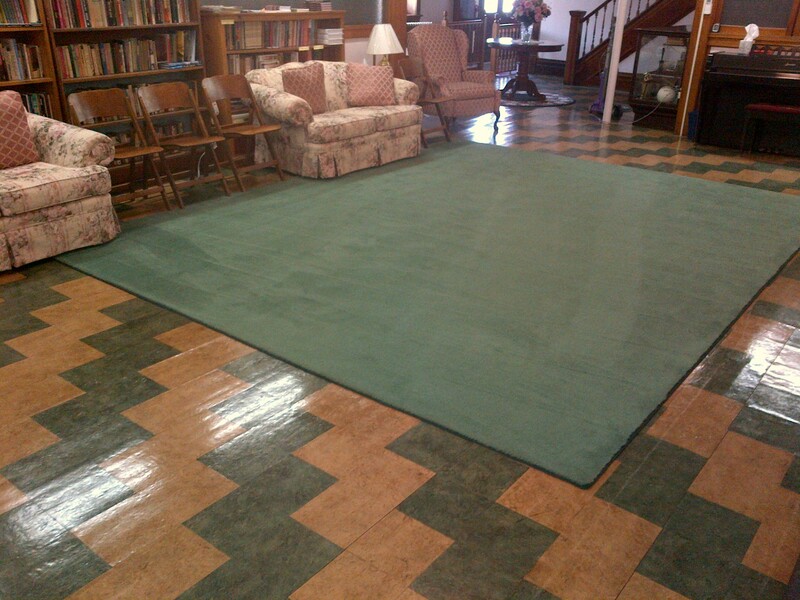 Since our Parlor floor layout needed to be reconfigured to accommodate all of the ladies who attended the recent Fashion Show at our annual Mother-Daughter Banquet, our Trustees took the opportunity to professionally clean the carpet in the Parlor as well as the entry rugs in the 13th Street and Sixth Avenue Vestibules. 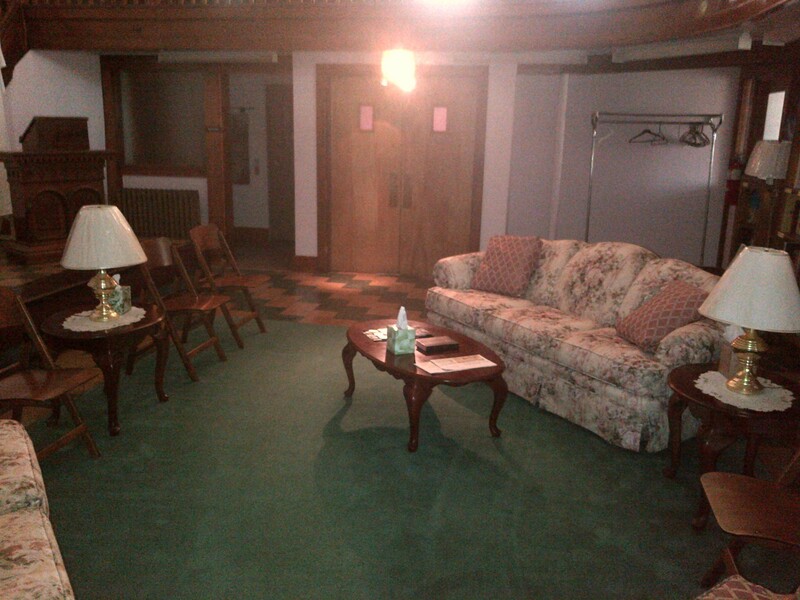 The carpets are now dry, and the Parlor couches and chairs have been moved back to their usual, cozy configuration. Let There Be (Emergency) Light! Our Trustees have just finished installing emergency lighting in the Parlor that is activated whenever the normal power supply to the Church is interrupted. The new emergency fixture will illuminate the Parlor with enough light so anyone in the area can calmly and safely find their way to the exits. Our thanks to the Trustees for making our Church a bit safer with this latest addition to our network of emergency lighting. Now, let’s hope that we never need to use it! A basic and yet comprehensive site, accessible in many languages that has a digital version of the Four Spiritual Laws and many more links to explore the person and ministry of Jesus. This is the website of the Christian Research Institute and Hank Hanegraff, the Bible Answer Man. It has many resources that answer questions about the Christian faith and other religions in-depth. Excellent books and resources are also available on the site. You can also listen to the Bible Answerman radio program from the site. I highly recommend this program for anyone exploring the Christian and for the Christian who wants to grow in their ability to answer questions about the faith. An excellent site to explore the Christian faith in detail. Contains a number of lists including: Ten reasons to believe in life after death, Ten reasons to believe in Christ and not religion, Ten reasons to believe in the Bible. What an exciting time! There are signs of new life everywhere right now in nature. What was cold, brown and dead just a mere 3 weeks ago is suddenly warm, green and coming to life. As a church, we have just entered a new season of worship and discipleship. It is Eastertide and soon we will celebrate the pouring out of God’s Spirit at Pentecost. We spent a lot of time this past Lenten Season in worship preparing ourselves to be aware of God’s Spirit and to receive it. We focused on how we might put ourselves in God’s path to experience transformation by using the means of grace God provides. We literally placed our baptismal font and the cross at the epicenter of worship, reminding us of the gift of salvation and the promise of God’s faithfulness in covenant with us at our baptism. All that we do as a church emanates from the gift of grace we receive through Christ’s sacrifice on the cross and living out our baptismal promises to be faithful disciples, dying to our old ways and putting on Christ. These sustain and guide us throughout our faith journey and in our personal relationship with Christ. Moving into Eastertide, we are exploring the commandments and promises of Christ to the disciples. These commandments call us to love one another, not only in word and belief but through loving actions of grace and mercy to one another and to our neighbor that embody what we say and what we believe. We are beginning to talk about examples of these loving actions both given and received by one another. These remind us that it is possible, with Christ, to do what he has commanded. The gifts we receive as we do these things, we are learning, are God’s gift of peace and of the Holy Spirit-the promised presence of Christ-which continually transforms our hearts as we give more of ourselves and our actions over to the Lordship of Christ. All of this we do in order that we might continue learning and committing ourselves to live more and more authentic lives of discipleship. I hope that during these seasons of Lent and Eastertide, we have all taken advantage of the many opportunities in worship, in outreach and fellowship to look into our hearts and even to challenge ourselves to greater accountability and faithfulness in our faith journey. I encourage you to get or say involved with your spiritual formation. Try a Bible study, Sunday School class or covenant group. Along with worship, these are essential to stay in love with God – one of John Wesley’s rules for Methodists. We are all going to need spiritual passion and strength in the coming weeks and months as we strive to revitalize our church. Igniting and maintaining passion for God and God’s mission is both commanded and evidence of discipleship. We are always moving and being pushed to greater levels of transformation (sanctification) as God’s people. We are never done on this earth with worship or mission. These are the only reasons for the existence of the church. While much of the activity we engage in as a church may be related to these, sadly, some are not. As we begin to evaluate our church structures and activities, we must always be asking ourselves, “How does what we do or want to do serve these primary functions of the church?” Much prayer and discernment is needed to be able to do this effectively and that effectiveness is not possible without engaging in study of scriptures, worship, prayer and witness. This means that every member of the body is needed. We must be unified in Christ and in keeping his commandments. The ways in which we discern to do that may be different and we may not always agree. However, one thing is clear, the true marks of discipleship include being faithful to Christ in word, belief and demonstration of belief through loving actions. We cannot be a faithful body if parts are missing and we are not engaged in activities together that promote healthy relationships, sustain love of God, love of neighbor and lead us to disciple the world. More than simply saying what we believe and in addition to staying in love with God by attending upon all of God’s ordinances (prayer, scripture reading, worship, Holy Communion, etc…), a distinctly Wesleyan rule for living includes: Doing all the good you can to as many as you can, in all the ways you can. Love in action is specifically part of our United Methodist tradition but, most importantly, a commandment of Christ. As we seek God’s calling for Central United Methodist Church, we will need the prayers, presence, gifts and service (our baptismal promises) of our entire worshiping community. As we rediscover who our neighbor is and how Christ is leading us to serve our surrounding community, we will uphold and rely on the universal of tenants of our Christian faith-primarily faith in the one, triune God: Father, Son and Holy Spirit. While our church may have been established in or we may have come to this church from a different faith background, we will approach our worship, teaching, discipleship and our renewal of them in a distinctly Wesleyan manner, drawing on the rich heritage, doctrine and practices we have adopted as a congregation of the United Methodist Church. We may feel that our church has become dry as the bones in Ezekiel’s vision. In some aspects this is true. Our spiritual passion has declined. However, just as we see new life in spring, God can make beautiful things out of dust and deserts. God is never done with us as long as we are willing to be faithful. God needs only a faithful remnant to begin God’s good work in us. Our church is no different. As we act out our faith, Christ promises us his peace and his presence in the sending of the Holy Spirit. 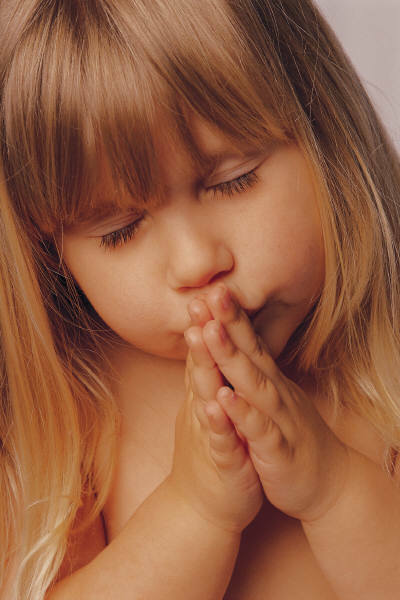 As we accept the teaching and guidance of the Spirit, we are spurred to more and greater loving actions. Christ can do more than we can ask or imagine. Do we believe it? If so what do our actions say to support our words and belief? Are we actively engaged in asking God for what we desire? There have been many hopeful signs of the Spirit moving in our church. We have begun new Bible studies, tried new things in worship (like using our projector) and in our adult school class, and continued reach out to our community through our feeding ministries. New faces, as well as familiar ones are worshiping with us. Hearts are responding to God’s call. How have you responded? I’d like to hear about your encounters with God so we can share them with one another. In the coming weeks, we will continue to call upon the Spirit to move us and this call will manifest in many ways, from workshops and training that help us to love God and neighbor, to new guidelines for service and calls for discipleship to new places and people. Being faithful to the call will take everything we have and the best thing is, as our familiar hymn reminds us, “All I have needed thy hand has provided, great is thy faithfulness Lord, unto me”. We’ve been given everything we have and will need for our journey! Two important questions each of must wrestle with is how much of ourselves are we willing to choose to give back to God and to what degree do we model a heartfelt love of God? It begins with worship but worship is only the beginning. I’d like to challenge us to go deeper. I’d like to challenge all of us to participate in spiritual growth together and let our loving actions demonstrate that we mean what we say when we call ourselves followers or disciples of Christ. These dry bones will live-we cannot stop the mission of God and whatever God plans to do with our church (that’s us-not the building), but how we respond to these questions will certainly affect the Holy Spirit’s ability to work through us. Please, though, let us not grieve the Holy Spirit but resolve to do whatever Christ is calling us to do and be willing to go wherever he is sending us. Please pray for our church and its leadership. Please pray for hearts to be transformed and revived to put on Christ! Most of all, don’t go missing from us! God’s desire is for all of God’s children to be reconciled and to receive grace and peace through Christ, his Son. He will not leave you or forsake you-ever! The Holy Bible: New Revised Standard Version. 1989 (Eze 37:1–6). Nashville: Thomas Nelson Publishers. The Spring 2013 issue of Leadership Journal has an interesting article by Amie Streater entitled, “Why Give to the Local Church?”. Some of her observations are reproduced for you below. There are lots of great ministries out there, but giving to your local church is still essential. With so many excellent causes to give to, why should people give to their local church? The truth is no matter where you live, there’s no shortage of opportunities for Christians to give. Never have there been more charities and ministries spreading the gospel, feeding hungry children, digging wells, and providing medical services. Then there’s the local food pantry that always needs stocking, disaster-relief agencies asking for help, not to mention that someone is always pitching a sad story on Facebook, capped of course with a plea for everyone to help out “just a little.” Toss in a weak job market and tight budgets, and it’s easy to understand why people get giving fatigue. This makes presenting the case for giving to the church all the more important. Outlined below are some of the reasons for giving to your local church. The church is a connection point for Christian living. The employees, volunteers, and supporters of the Christian organizations in your city have one thing in common: they all go to church somewhere. In our congregation, we feed them spiritually on Sunday mornings and physically throughout the week. 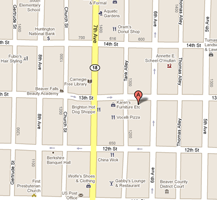 We also serve as the hub for small groups, fellowship opportunities, and spiritual growth classes. We marry them, bury them, celebrate their anniversaries, pastor them through hardship, and live life with them. Giving to the local church is not merely one good option among many. It’s an imperative for every Christian. Church truly is a family. The church is also a hub to connect ministry services. Chances are you’ve connected with people on your local church staff that have the same passions you do. Those people can be a great resource to help you direct your offerings (money given over and above your tithe) to organizations that best carry out the work you are passionate about. Churches help identify those in need. If you have someone at your church who is responsible for giving out the money that goes to people in need, they can help you disseminate money to those who should really be receiving it. They can also prevent you from falling prey to a scam or from jumping on the latest Internet bandwagon. Giving to the church is an excellent way to ensure that your money gets to the people most in need. They work to filter out the shifty sob stories from the genuine need so you know your gifts are going to those who truly need them. Your church serves your community. 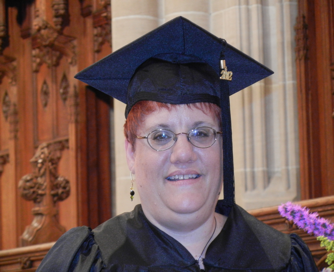 When a family in your church can’t pay their utility bill, where do they turn for help? To their home church. And when an unchurched family in the neighborhood needs food or money for gas, where are they going to go for help? Often the local church as well. For all the food banks and social services out there, the local church is still the first place many people turn to in times of need. And that’s a blessing that we as a family of believers get to be a resource of love and compassion when people need it most. Your family deserves your support. Church, like any organization, is a give-and-take operation. If you’re fed on Sunday mornings or pastored through crisis, you’re benefitting from your church. And that’s a good thing. You’re supposed to benefit from your church! But those things can’t happen without financial support. That building and the land have to be purchased and maintained. The pastor and other staff need to be paid. The light bill has to be paid. Cleaning supplies, Bibles, chairs, and hymnals must be purchased. There’s work to do and things to buy. If you’re volunteering, that’s great. Volunteering is important. But your volunteer labor, precious as it is, doesn’t keep the lights on or feed the poor. If you’re part of the family, support the family. There are many different opinions on tithing, but I have yet to hear a convincing argument that, in our time, God’s house is not the local church. Offerings are gifts over and above the tithe. This is where discretionary giving comes in. I’ll be the first to agree that we have to budget our giving. We have to be wise enough to live below our means so that we can give 10 percent, 15 percent, 20 percent, or more of our income away so that we can bless the work of the Lord in all its forms, through the ministries that matter to us. The problem for most believers is not that they don’t have enough to give, it’s that they’re not wisely managing what they already have so that they can be generous with others. If we live within our means and give generously both to the local church and to outside ministries, we will have more than enough to meet our families’ needs. That doesn’t mean that we give to get, or give just so God will bless us. It means living with a generous heart will be rewarded so that we can be a blessing to others. Supporting your local church will bless not only you and your family but your community as well. Giving outside of your local church is where you get to see your specific ministry dreams come true. Giving with wisdom ends up blessing more people in more meaningful ways. 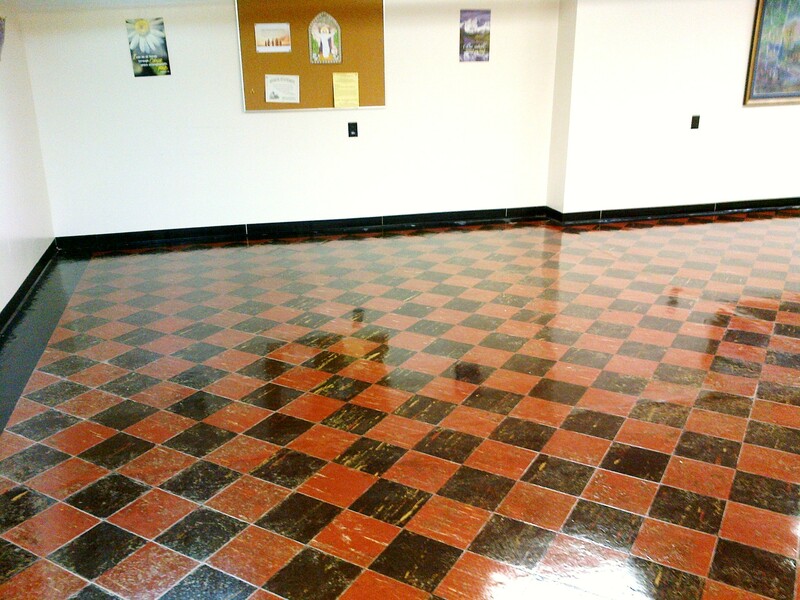 Fellowship Hall – Floor Refinishing Completed! 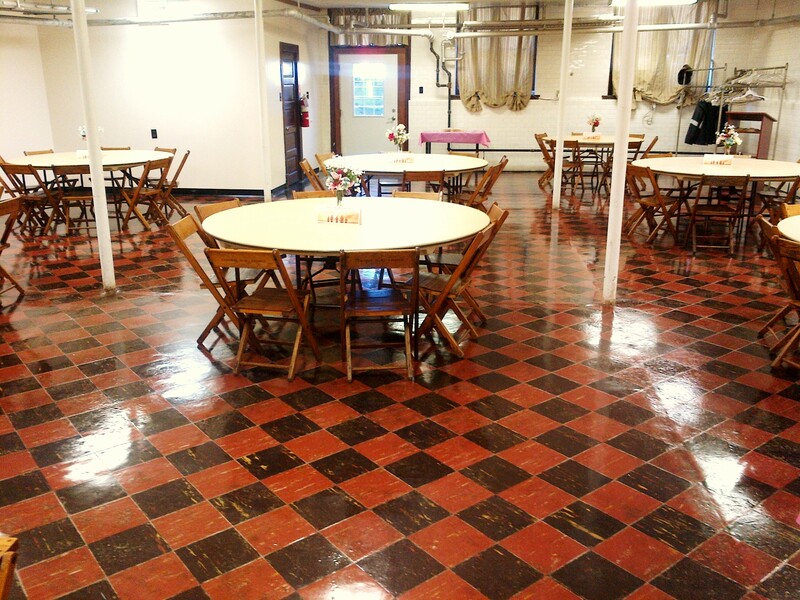 The Floor Refinishing Project for our Fellowship Hall has been successfully completed in time for our free community Soup Kitchen tomorrow afternoon. The floor was scrubbed, stripped, sealed, and refinished this week in advance of our upcoming Mother-Daughter Banquet on May 11. Check out our mirror-like floors the next time you’re at the Church!